Prelude Music is proud to offer a variety of music programming for all your family’s needs. Our team of specialists consist of 4 Music Therapists and 7 Music Educators. Music therapy sessions can happen in our state of the art studio or out in the community for both individuals and groups. Melodies & ABC’s is an inclusive age specific parent/child group music class for children 6 months – 6 years of age providing a framework to develop children’s musical, social, academic and motor skills. Private lessons for all ages and abilities welcome. Register for music therapy or private music lessons today! Check out Melodies & ABC’s to see when the next registration will take place. 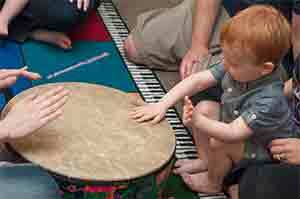 Engaging music therapy programming with therapeutic outcomes for both individuals and groups. Melodies & ABC’s® is an inclusive school readiness and music education parent/child music program for children 6 and under. 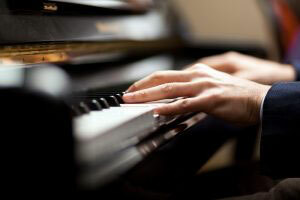 Prelude Music offers music lessons for students of all ages and abilities. 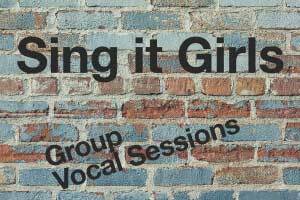 Sing it Girls™ focusses on building confidence in girls aged 7-15, minimizing feelings of anxiety, worry and low self-esteem.